It looked like any other boring old email. But, as noted by Reddit user Sarranoob, it was anything but. It was an email in disguise. When the email's image isn't uploaded, it reveals an Autobot logo. Sure, this is just marketing, but it's clever marketing. 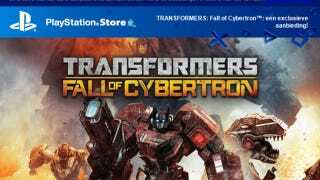 In case you missed it, here is Kotaku's review of Transformers: Fall of Cybertron.